If Bolivia is so rich, why is it so poor? Bolivia poses a conundrum: if the country is so rich, why is it so poor? 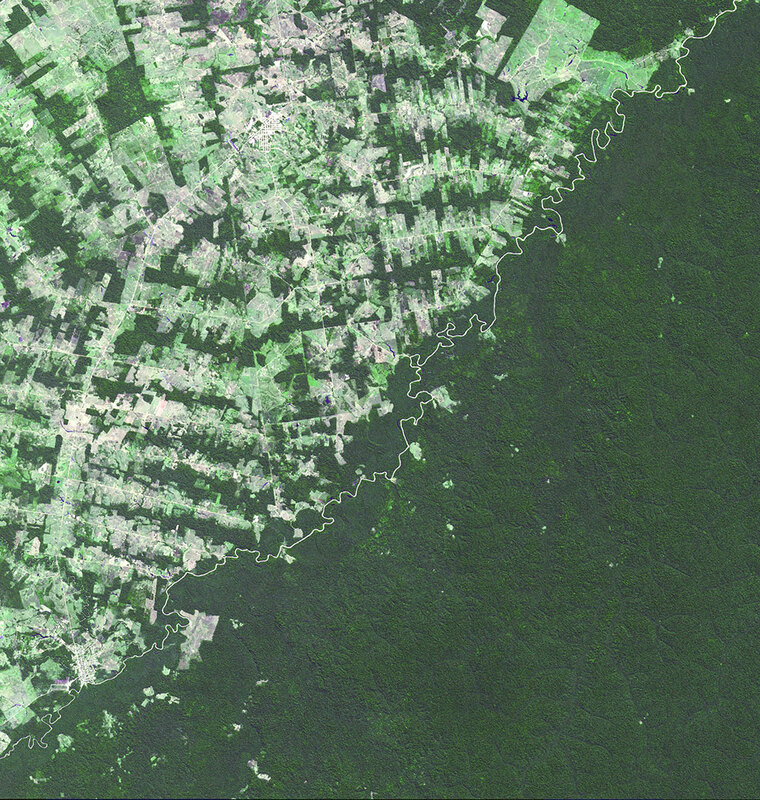 One answer is that while the territory it covers – or has covered – holds vast amounts of resources, including silver, rubber, tin, guano, petrol, oil, coca and lithium, in the post-Inca period almost every asset has been the root cause of a harmful conflict, as a chronological survey of the country’s history reveals. Bolivia has treasure; others have got rich and in the independent era, a procession of weak governments has not helped. Today the wealth imbalance is played out within the country, which proportionally has the largest indigenous population in South America. Bolivia’s most significant pre-Inca civilisation, the Aymara, succeeded the Tiahuanaco empire, building fortified towns and developing camelid herding culture. Spread across the Andes, the Aymara were divided among separate kingdoms. This disunity and internal animosities allowed the Inca to take control of the region with relative ease in the 1460s. After AD 600, the Tiahuanaco empire spread from south of Lake Titicaca and, by 1200, covered parts of Bolivia, Peru and Chile. 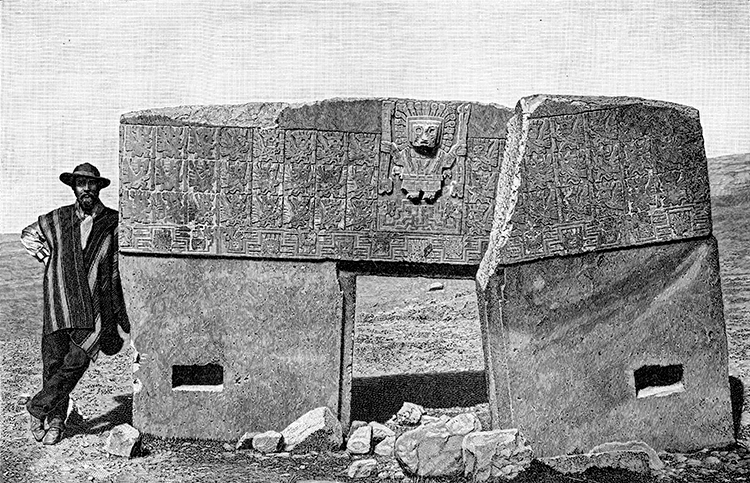 Archaeological discoveries, of which the Sun Gate at Tiahuanaco is the most famous, suggest the empire was united by religion, possibly centred around agriculture. The potato is thought to have first been domesticated in this region between 8000 and 5000 BC. The Inca empire was the largest in pre-Columbian America. In the 1460s the Aymara kingdoms became part of Qullasuyu province, one of four into which the empire was divided. 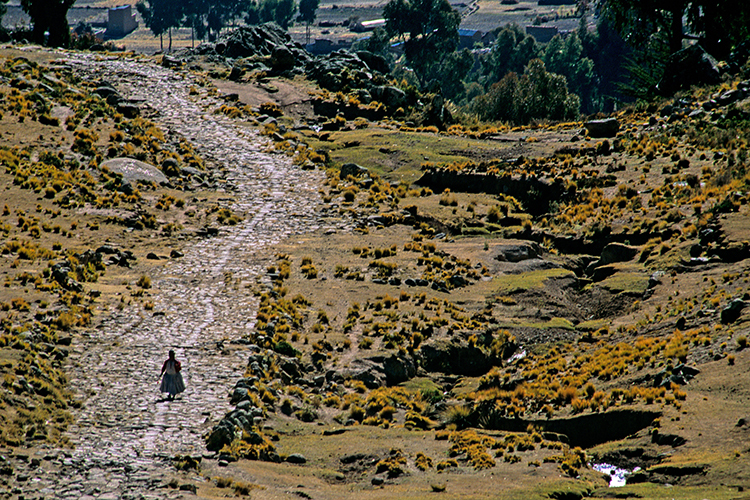 Under the Inca, the Aymara retained their leaders, religion and culture, but were required to send tribute to the Inca’s administrative capital, Cuzco, via the extensive Inca road system, which spanned 20,000 miles. 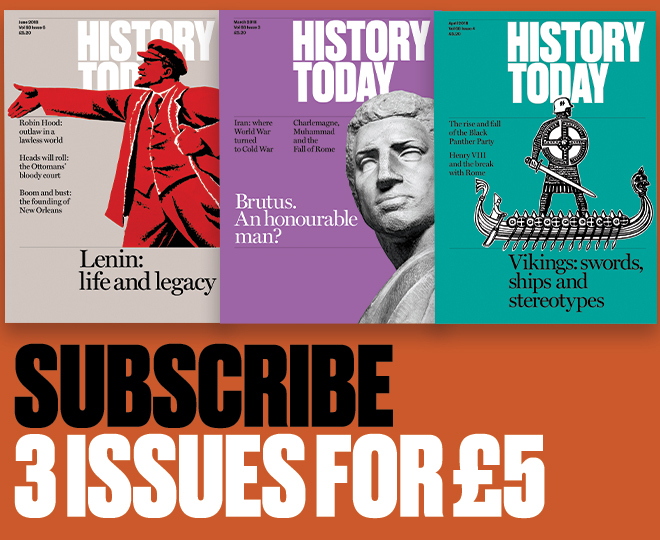 The Inca empire has been called ‘one of the greatest experiments in human organisation’. Under Spanish control, Bolivia was part of the Viceroyalty of Peru, governed from Lima. 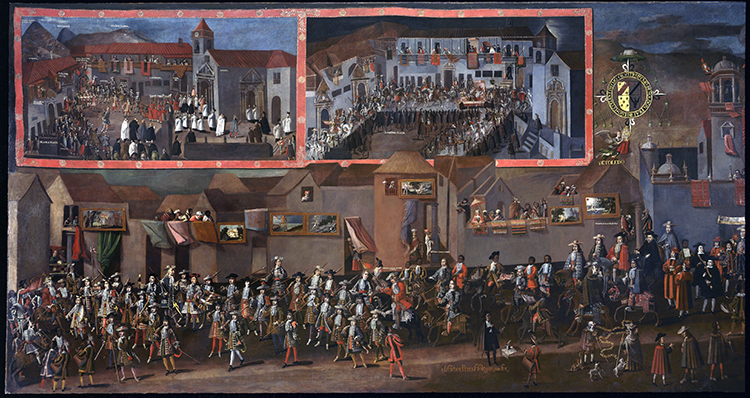 One of Bolivia’s greatest colonial-era painters, Melchor Pérez de Holguín (1665-1732) arrived at Potosí in 1690, by which time the city’s mine was in decline. His Baroque work was displayed in major churches throughout the city and is testament to the spread of Christianity, as well as Europe’s cultural influence. The Conquistador Francisco Pizarro conquered the Inca lands for Spain in 1538. 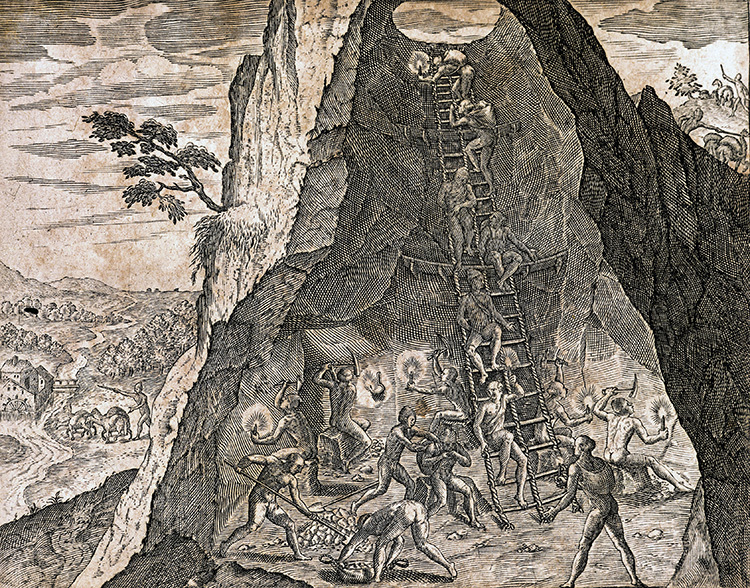 In 1545, silver was discovered at Cerro Rico or ‘rich mountain’ at Potosí, prompting a mining boom that relied on forced indigenous labour. 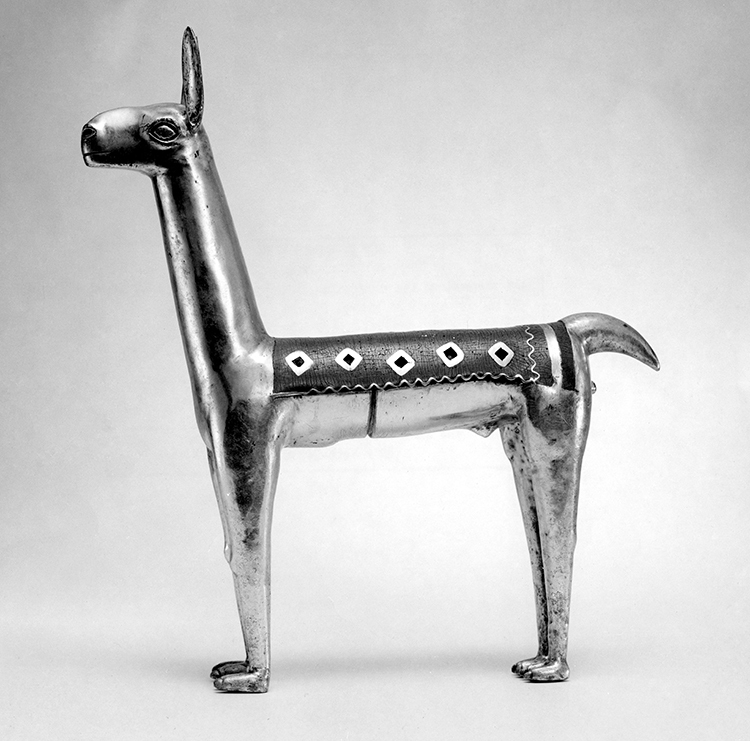 Between 1570 and 1650 Potosí produced over half of the New World’s silver. The Spanish colonial mint was located there.Potosí’s riches were felt globally, as Europe’s trading with Asia increased due to the continent’s new silver source. The first, unsuccessful, declaration of independence by a Spanish colony in the Americas was made in La Paz under the leadership of Pedro Domingo in July 1809. Bolivia’s fight was part of the wider Spanish Wars of Independence, which convulsed the Americas. Bolivia declared independence on 6 August 1825, liberated by the forces of the Venezuelan Simón Bolívar, the country’s first president, after whom the new country is named. 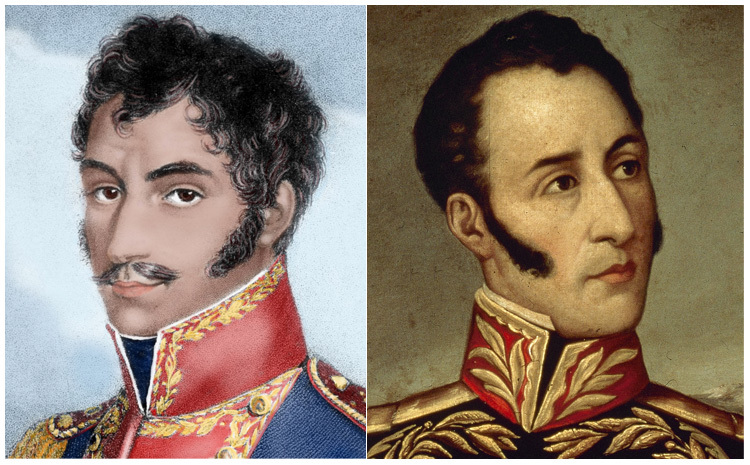 Bolivia’s judicial capital, Sucre, is named after Bolívar’s chief lieutenant and its second president, Antonio José de Sucre. Since independence, Bolivia has lost around half its territory. Herbert S. Klein describes how the country was left with ‘the shell of a state’ after the Spanish left, finding itself surrounded by mercantile neighbours who, coveting Bolivia’s rich natural resources, imposed strict trade tariffs. The rubber-rich region of Acre was lost to Brazil in the Treaty of Ayacucho in 1867. Legend has it that the Bolivian President Mariano Melgarejo traded the territory, in part, for a white horse. Between 1879 and 1883, Bolivia and Peru fought the War of the Pacific against Chile. Defeated, they signed a truce in 1884 by which Chile acquired Bolivia’s coastal Litoral Department, leaving the country landlocked. 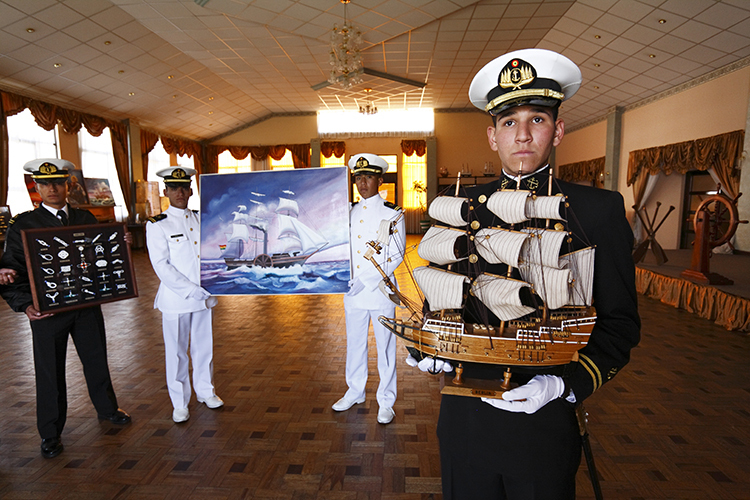 Despite this, Bolivia maintains a navy, which operates on Lake Titicaca. Between 1932 and 1935, Bolivia and Paraguay fought over the petroleum-rich Gran Chaco region. The Chaco War was the bloodiest Latin American conflict of the 20th century. In reality, it was a proxy battle between Standard Oil, which supported Bolivia, and Shell, which supported Paraguay. The latter won and gained 20,000 square miles of territory. 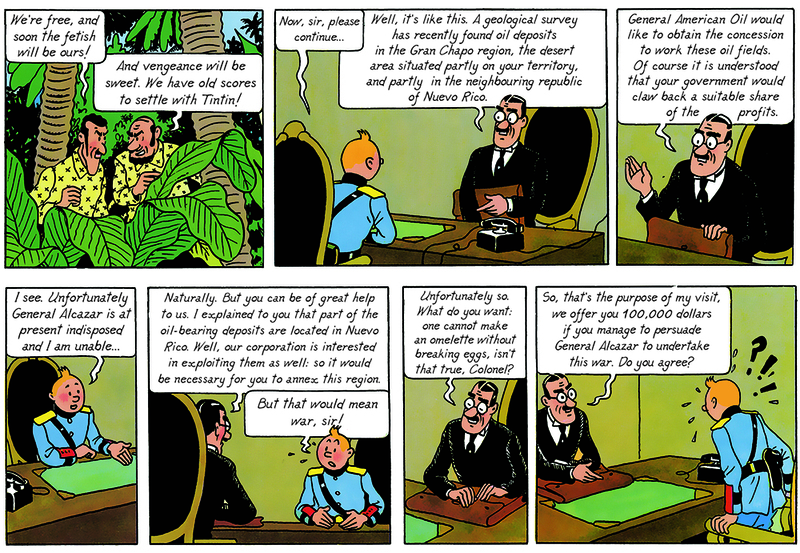 The sinister motives behind the war inspired the Belgian cartoonist Hergé’s sixth Tintin adventure, The Broken Ear. In the late 19th century, with Europe’s mines exhausted, Bolivia was producing 30 per cent of the world’s tin. Tin baron Simón Iturri Patiño became one of the world’s richest men. The tin industry was acquired by the state in 1952. 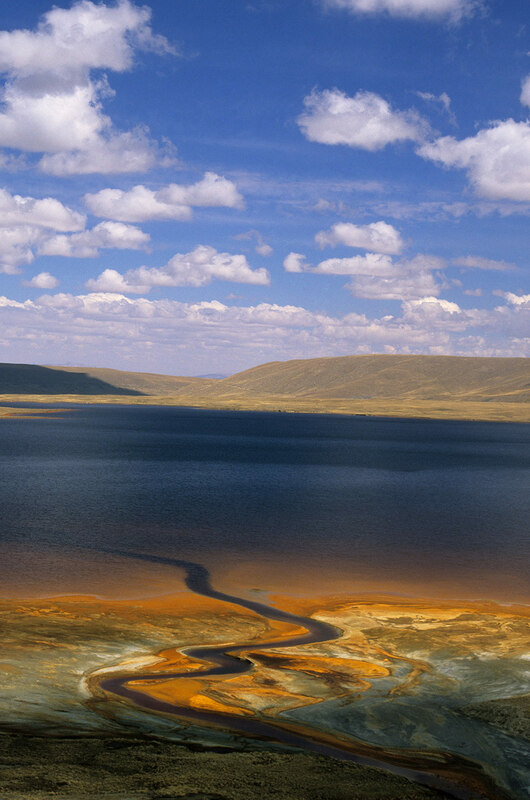 Bolivia’s resources and attempts to exploit them have shaped its history. By the 1980s, coca paste and cocaine were vital to its economy. 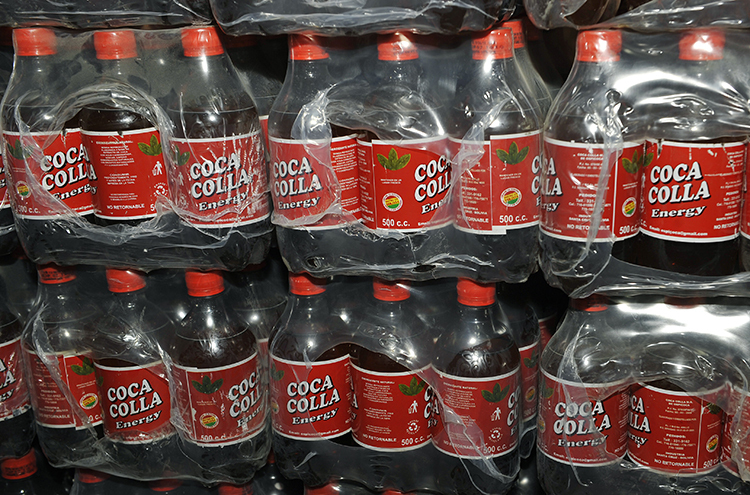 Though coca is popular in Bolivia, exporting it is difficult due to international restrictions. Launched in 2010, the energy drink Coca Colla uses coca leaf extracts, making it illegal outside Bolivia. 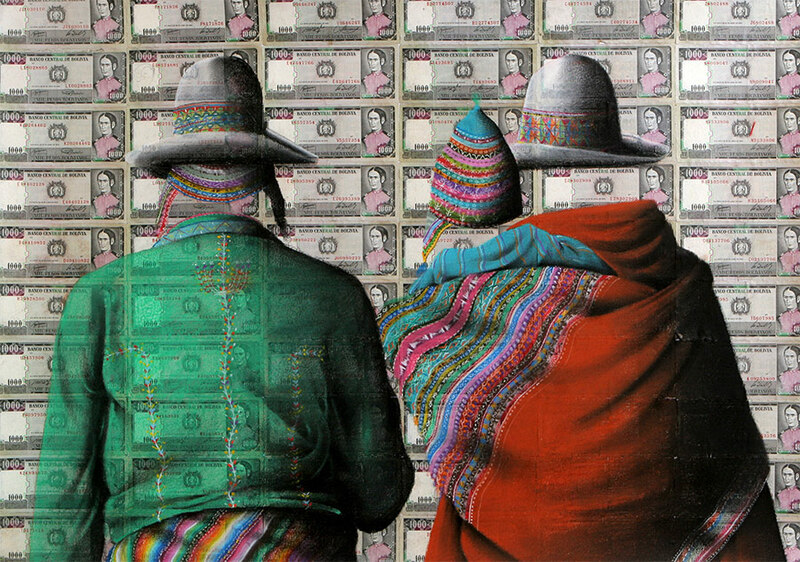 Artist Eusebio Choque’s surreal We’re Worth Nothing series explores contemporary Bolivian society. Colourful traditional textiles and faceless Andean men and women are recurring motifs. Bolivia’s natural resources mean the country should be among the world’s richest, but in reality it is one of the poorest in Latin America. Rural, indigenous poverty is rife, while the wealthy elite is largely of Spanish ancestry.